On Friday, March 15, a gunman in Christchurch, New Zealand attacked two mosques, leaving 50 people dead in the white nationalist terrorist attack. The effects of this act of violence have been felt around the world, including on DePauw’s campus. 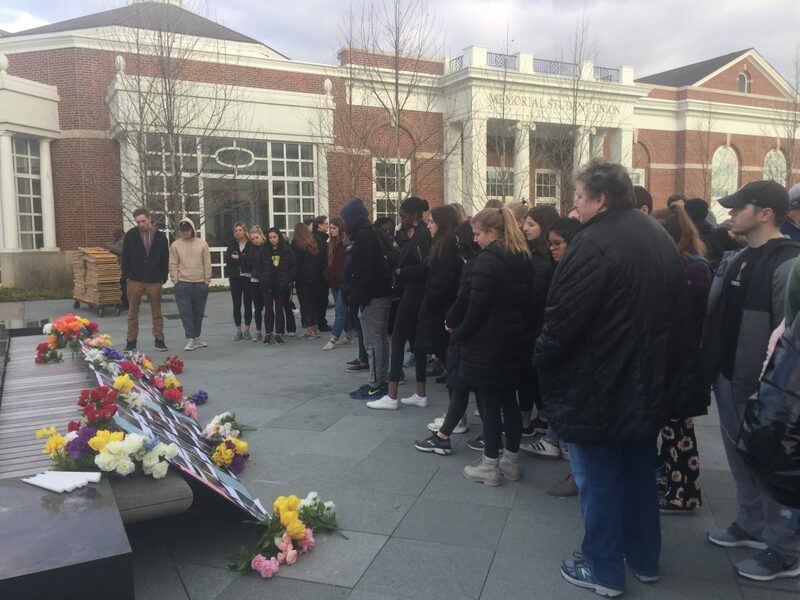 In response, on Monday the Muslim Student Association organized a vigil to act as both an opportunity for students to heal, as well as allow for a dialogue to form regarding the social issues that permit the occurrence of such attacks. “I firmly believe in bringing people together and what we are doing by having this event is incredibly important for our healing process,” said Diallo, who attended the vigil. The vigil consisted of speeches, poems and prayers from 16 students, faculty, staff and Greencastle community members. Organizers of the event noted the importance in starting a dialogue regarding the prevention of future acts of hatred-fueled violence, as well as the issues of Islamophobia, white supremacy and bigotry. Interim Vice President of the NAACP Joseph Harris spoke about the environment of soft bigotry, which consists of Islamophobia jokes, anti-Muslim memes, and other seemingly small and normalized forms of hatred that allow hard bigotry to occur. President of the Muslim Student Association Rabia Daud offered her own perspective on how the attacks must be responded to, and emphasised how important it is to speak up in the face of hatred. “Silence in the name of liberalism and free speech is ignorant on the realities of power and privilege and instead emoldens and encourages white supremacists to subject at-risk communities to senseless violence,” Daud said. Harris pointed out the importance in focusing on subtler, “softer” bigotry as opposed to outright attacks and aggression. 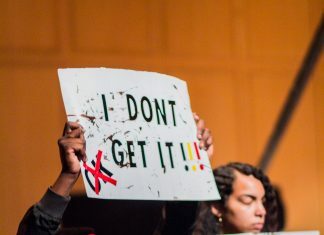 Daud offered a plea to the DePauw community on issues such as white supremacy, calling for students to look within themselves and critically examine passivity to hate and bigotry within their own communities on campus.